Jordi Labs works in a wide variety of industries providing solutions specific to each need. Whether it is a problem with a contaminated food product, or a part that is failing after it’s in the consumer’s hands, Jordi can put together a comprehensive plan to identify the root cause and provide the route to a product that works. For more than 30 years, we have successfully deformulated hundreds of polymer products including polymer composites, adhesives, thermosets, rubbers and latexes. Jordi routinely provides services to a variety of clients in the pharmaceutical industry. Our chemists have special expertise in the detection and identification of unknown contaminants as well as analysis of packaging materials for pharmaceuticals (deformulation, good-bad comparisons, etc.). A recent example of this was the formulation of a car wax product following the discontinuation of a formerly commercially available product. Product formulation involves more than the mixing of chemicals. Let our experienced chemists speed the process of product formulation and then help transfer that technology back into your facility. Jordi routinely works in the medical device industry, providing deformulation and physical testing, contamination and failure investigations and more. We offer litigation services and support for legal cases involving patent infringement and liability issues. 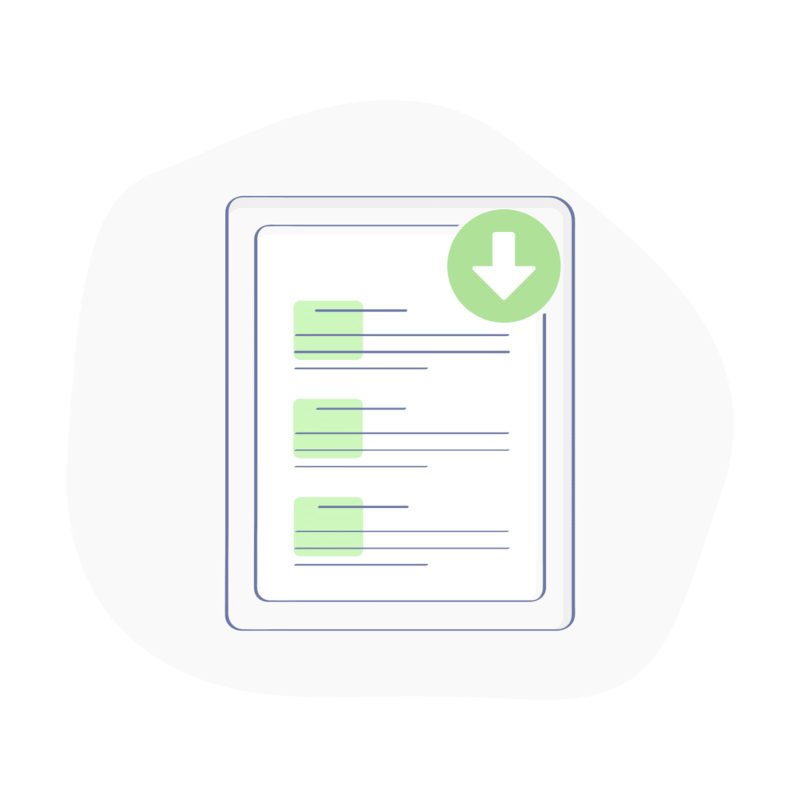 Our team has analyzed devices and materials relating to packaging, protective products such as bandages, implantable devices and medical solutions used in clinical settings. Extractables and leachables studies can apply to a wide range of products, including packaging, pharmaceuticals and medical devices. These studies encompass a variety of compounds, including organic and inorganic molecules. Clients in the pharmaceutical, medical device or packaging industry may be required to or benefit from determining the type and quantity of extractable and leachable material from their product to identify any chemicals that have the potential to leach out, posing the risk of causing contamination in the product’s end-use application. Jordi Labs specializes in the analysis of plastics and has the experience and knowledge to make your E&L study a success. Jordi partners with our customers to develop and execute E&L studies empowered by over 30 years of analytical experience and state of the art instrumentation. See our updated laboratory testing for extractables and leachables for medical devices. 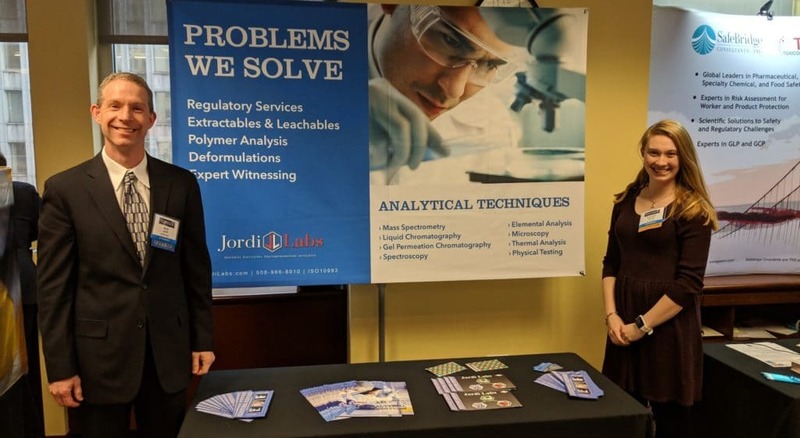 Jordi’s Ph.D. chemists can provide expert witness services for a variety of litigation scenarios, including product failure cases, product liability cases, insurance claims, patent infringement and more. We have over 30 years of experience interpreting and presenting data. We have the credentials as well as the English skills required to provide an easy to understand representation of the scientific data. We can perform scientific and patent literature searches, be present for depositions and, ultimately, for trial testimony. Jordi Labs’ highly trained analysts are experienced in solving problems related to food & beverage and agricultural industries, such as contamination of comestibles, packaging analysis and more. We custom design our analytical approach to your problem, utilizing methods of analysis such as SPE, GPC, PYMS, LCMS, FTIR, NMR and more. We are skilled at understanding complex toxicity hazards and can provide the answers you need to ensure safe products for your customers. Distributors, retailers and manufacturers alike have taken advantage of Jordi’s extensive expertise in quality testing, certification of products for FDA review and compliance with both domestic and international safety standards. 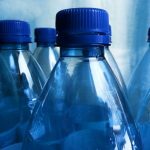 The FDA often requires that packaging products be subjected to a migration study to determine the chemical constituents that could potentially migrate from packaging materials into the food they are in contact with to ensure product safety. Typical experimental designs include exposing the packaging product to specific contact matrices, or simulants, that imitate use conditions. The product is exposed to a simulant at a specified concentration, temperature and time period. 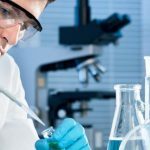 Jordi Labs has the experience and the chemical knowledge to help customize migration studies according to client needs and FDA requirements. We are virtually unlimited in the types of simulants we can prepare, including a diverse array of hydrophobic and hydrophilic conditions. After exposing the product to the selected conditions, the simulant can be analyzed using mass or other appropriate technique to characterize major and trace level chemical components that have migrated into it from the packaging product. We work with regulatory bodies such as the FDA and European compliance community to assist our customers in getting their products approved. For more information, please reference the following FDA Guidance Document: Guidance for Industry: Preparation of Premarket Submissions for Food Contact Substances: Chemistry Recommendations. Custom deformulation, formulation and small-scale manufacturing for consumer products such as cosmetics, health and beauty formulations and soap and detergent industries with help in every step of the process, including concept, design, manufacture, and characterization. Jordi provides custom deformulation, formulation and small-scale manufacturing for consumer products such as cosmetics, health and beauty formulations and soap and detergent industries. We can assist in every step of the process, including concept, design, manufacture, and characterization. We can further assist with the packaging, documentation and MSDS design work required to bring your product to market.